Patterdale Mountain Rescue Team had to go to the aid of two men wild camping who couldn’t find their way off the fells when they woke up in mist. The young men from London called 999 and the Patterdale team was called out about 8.30am on Sunday. The incident came during a weekend that saw its volunteers spending 18 hours on callouts. Nine team members made the ascent to Hard Tarn near Nethermost Pike and escorted the pair to safety in the valley. Team leader Mike Blakey said: “Once again we’d like to take the opportunity to remind those who are visiting the mountains of the Lake District to check the weather forecast before venturing out. “The heavy rain which arrived on Saturday evening, and the associated low cloud, should have been no surprise to anyone venturing onto the fells. “Mountain rescue teams are entirely voluntary and, although team members are always willing to assist those in need, it can be frustrating and tiring when teams are called to those who could have avoided the situation that they found themselves in. The team’s first callout of the weekend came on Friday afternoon when a mountain biker suffered an open fracture to his leg while taking part in an organised race. Team members treated him at the scene before the Great North Air Ambulance flew him to hospital. Patterdale MRT was called out for a second time when an 84-year-old man fell while walking with his family from Howtown to Patterdale. He suffered a head and facial injury and became disorientated and confused following the fall. He was treated by one of the team’s doctors on scene and then taken by the team’s rescue boat across Ullswater before being taken to hospital. As team members were completing the rescue of the wild campers about 2pm on Sunday, they were called to help a woman who had fallen and broken her shoulder while tackling the Coast to Coast Walk. A Patterdale MRT spokesperson said: “Team members, assisted by Penrith Mountain Rescue Team, climbed back up the valley they had just returned from to assist the woman. 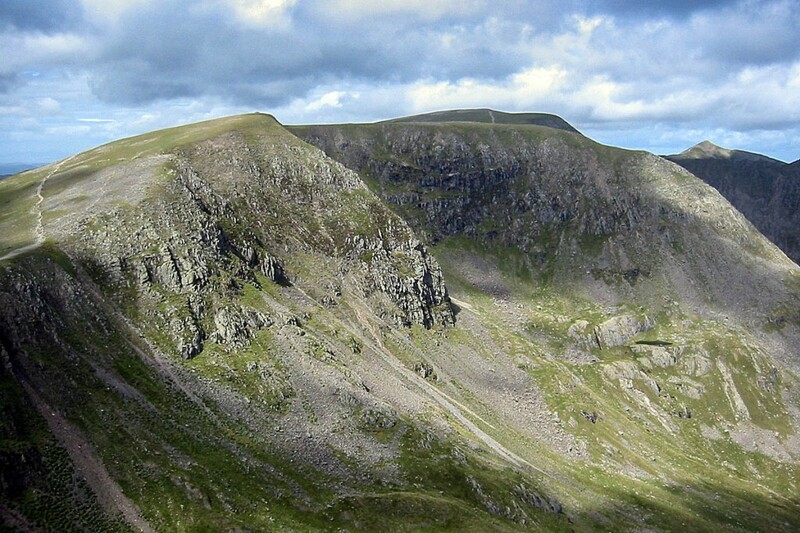 Simultaneously, the team was alerted by police to a 12-year-old boy who had fallen about 20ft from Swirral Edge on Helvellyn. The team was in action again on Tuesday when a 70-year-old man collapsed on the Ullswater shore path between Patterdale and Sandwick. The spokesperson said: “The gentleman from the Lincoln area was suffering from a cardiac problem so once a team doctor had assessed him it was decided to request assistance from the [Great North Air Ambulance Service] to expedite a swift transfer time to hospital. Ten Patterdale MRT volunteers were involved in the 3½-hour rescue. A COMPASS STILL WORKS IN MIST !! Well done to the Patterdale Mountain Rescue Team. Their members (and members of other MRTs) must have the patience of a saint. Had I been there 'rescuing' the two wild campers I'd have struggled stopping myself from telling them what I thought of their stupidity/selfishness. Just a thought, I wonder if the MRTs suggest to those they have to come to the aid of but who have called the MRT out unnecessarily or done something stupid that they might want to make a donation to mountain rescue? Two novice ‘walkers’ with no skills or common sense head up onto a mountain with a tent. They wake up in mist and call mountain rescue to guide them down as they don’t have the gumption to retrace their steps from the day before. You couldn’t make this stuff up. Sadly, this is becoming more common with a significant number of people heading up onto the Fells without even a map. They always have a phone though, and at the first sign of a problem they ‘panic’ and call out the rescue team. Oh well, perhaps a lesson learnt for them. Although there is no path, there is only one way down from Hard Tarn and it leads straight onto the main drag in Grisedale near Ruthwaite Lodge. If they couldn't work that out then they should be booking onto a navigation course. And yes, I'm sure a big 'thank you' and a donation to the MRT would be well received. Why couldn’t these prats just wait until the mist cleared? Far too many idiots can’t wait to call what they perceive as a council-funded service at the beck and call of the irresponsible general public. Several times during my Mountain Rescue years we heard the response “I’m sure you’re all well rewarded “ when the team leader pointed out that MR members had better things to do that come out and find people lost with no map etc. Advice for beginners - if you wake up when wild camping and the weather is poor, go back to sleep. London snowflakes! In my day (in the style of Grandpa Simpson) we woulld have been mortified to have had to be "rescued". almost anything was preferrable!